Compared to the CO2 supply over the day, the nightly ventilation of fish tanks is far less frequently discussed or practiced. At night waterplants breath oxygen just like fishes or microorganisms. The whole success to maintain a Nature Aquarium can be dependend on a steady nocturnal oxygen supply. The Pollen Glas Series covers two product lines: „for CO2“ and „for AIR“. The main difference between both lines is the varied size of pores of the diffusion filter.ADA Pollen Glass for AIR is developed for an increased airflow. Therefore it has rougher pores then for CO2. We recommend that you use ADA Pollen Glass for CO2" for an optimal carbondioxyd supply over the day and at night ADA Pollen Glass for AIR for a sufficient ventilation. To automate the transition, you can simply use the ADA NA Control Time. The device automatically switches between CO" supply and ventilation at your preset time. In summer the water temperature can rise rapidly. The oxygen in the water dissolves and is decomposed by the increased active microorganisms. If your aquarium heats up over day (around 30°C), it can quickly lead to a shortage of oxygen at night. Please take care of the nocturnal ventilation of your Nature Aquarium espacially in the hot seasons. The ADA Air Sweeper supplements your ventilation with two functions: disinfection and smell absorption. Connect it to your air pump and your ADA Pollen Glass for AIR. This product binds smells and creates an mild scent. 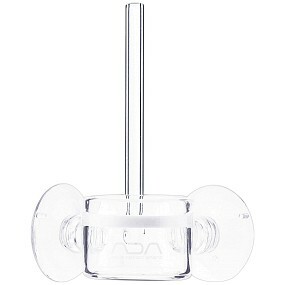 If the effect disappears, you can easily exchange the ADA Clean Beads in the ADA Air Sweeper. The ADA Air Sweeper also perfectly suits the use for keeping reptiles or amphibians. 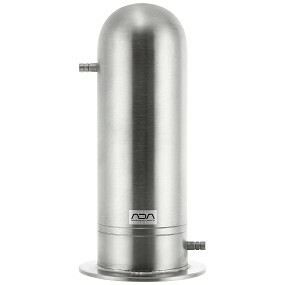 The ADA diffusionfilter of ADA Pollen Glas for AIR has rougher pores and produces bigger bubbles. 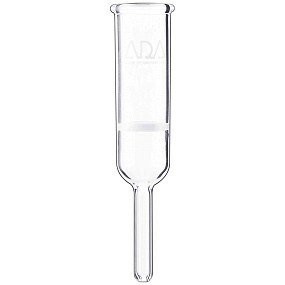 ADA diffusionfilter for ADA Pollen Glas for CO2 The ADA diffusionfilter of ADA Pollen Glas for CO2 has very fine pores and produces smaller bubbles. Air dissolved by the ADA Pollen Glas for AIR. The more bubbles produced, the bigger the ventilation effect.